As women, we are especially prone to comparison. We look at the woman next door mowing her lawn and realize we don’t even know how to start the lawn mower in our garage. We watch the stream of pictures from the crafty mom half a world away and bemoan that the extent of our craftiness lies in a 24-count box of crayons. We look out at the various women who cross our lives and see what they do that we don’t, and we chide ourselves for all we aren’t accomplishing ourselves. Dear Sisters, this is not God’s heart for us. One of the ways we can give life is through how we treat one another as women. Are you prone to comparison? Your _____________ (fill in the blank)? 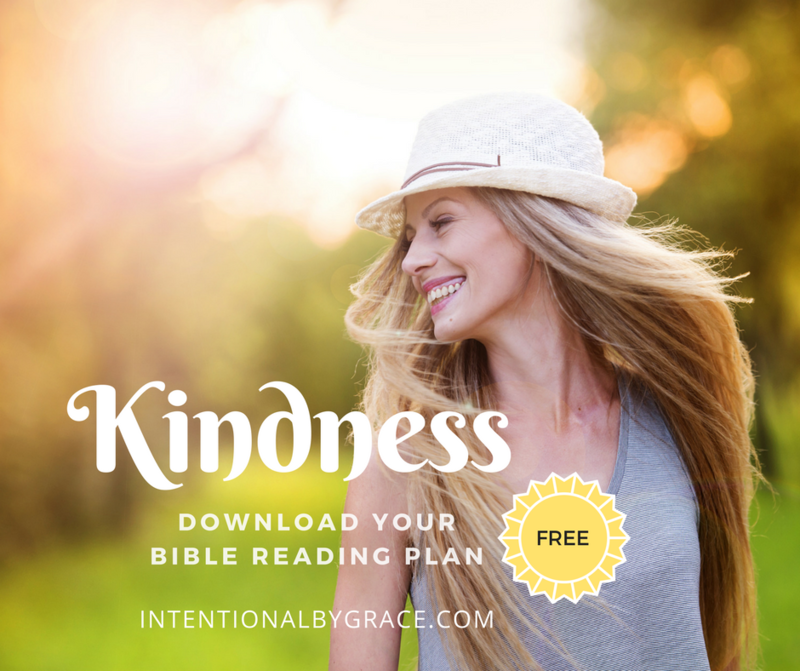 As women, we are called to give life with our words, actions, and attitudes, but how we carry out that mission will depend on the unique way in which we were fashioned and designed by God to give life in our spheres of influence. He went on to wash the disciples feet. Jesus knew who He was, and He knew where He was going. He knew whom He belonged to and whom He came from. It was in this knowing that He acted. He acted in humility, magnifying the Father with His words and actions and attitude. 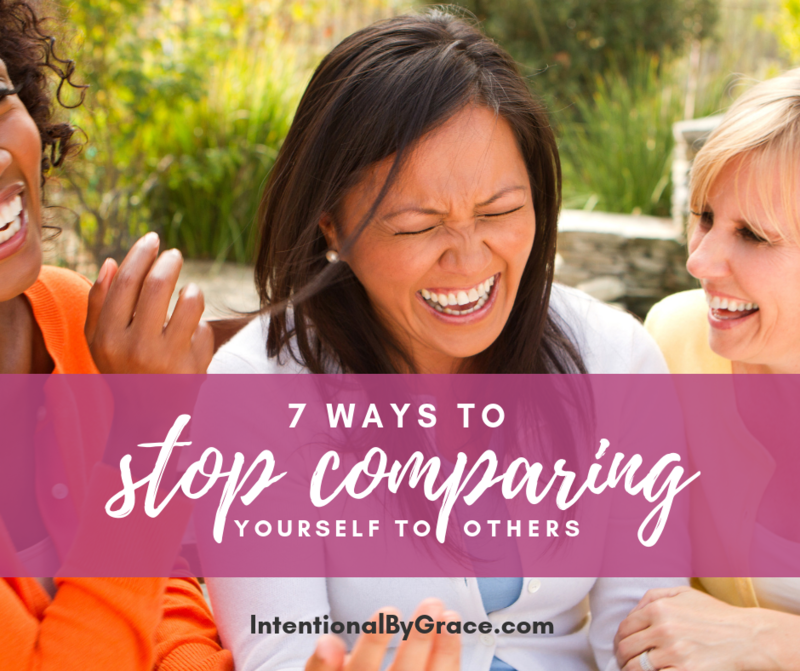 So, sisters, let’s squelch the comparison game, and start celebrating and serving one another from hearts of humility. What are your strengths? What gifts has the Lord given you? Have you taken time to consider what it is you’re good at? Naming your strengths will stand as a good reminder to you when you begin comparing yourself to others that you’re not a failure. You just have different strengths and gifts than the woman next door. We can’t be good at everything, and we all have room to grow somewhere! Take some time to consider your weaknesses. Acknowledge them and then review your strengths again. Just because you have weaknesses it doesn’t mean you’re a failure. It means you are human. Stop comparing your weaknesses to someone else’s strengths. 3. Determine your God-given mission. I am a huge advocate for developing a mission statement for your life. I believe every one of us should sit down and spend time praying and seeking the Lord’s will for our lives. How has He uniquely called you to give life with your words, actions, and attitude? If you don’t have a God-given mission statement, then please set aside time today to do create a plan to live for Him. Knowing your mission and purpose will help curb the comparison game as you stay on the path God has for you, and you can rejoice with the woman whose skills you admire because she’s excelling on the path the Lord has for her. 4. Go deeper into the Gospel. The single most effective way I have found to curb comparison is to look to the Cross. The Gospel levels the playing field. The Gospel keeps us humble. As we look at what we accomplish compared to someone else (or vice versa), with our eyes on the Gospel we know that apart from Christ we can do nothing. When our eyes are set on Christ, we can decrease so that He may increase. When He is so magnified in our hearts, comparison no longer has any room to breathe. 5. Act on your strengths and mission. Once you know your strengths and mission, act on them. Don’t waste time being someone you aren’t, and don’t squander the gifts God has given you. Use the gifts and abilities the Lord has given you to build up the church and reach the lost! Seek to do what you do best with excellence. 6. Seek to grow in areas you are weak. Even though weakness can be something to get down on ourselves about, we shouldn’t. In areas where we are weak, we should seek to grow. We should be life long learners, daily seeking to grow in the Gospel of grace and in our everyday lives. Our weaknesses aren’t an excuse not to do what’s right. But in as much as it depends on us, we should seek to grow where we are weak. And we should invite others to help us see our blind spots. Invite correction and be teachable. It is in this way you can learn from the woman whose strengths you admire. We are all on a journey. As we walk out our faith, we should rejoice in our weaknesses and thank God for His strength that shines through us. None of us have arrived. Comparing yourself to others only wastes valuable real estate in your mind. When the comparison game starts, look back at your God-given mission, thank Him for the gifts He has given you, and choose to rejoice in your weaknesses. You were made to give life. What are you doing today to become the woman of God you were created to be? 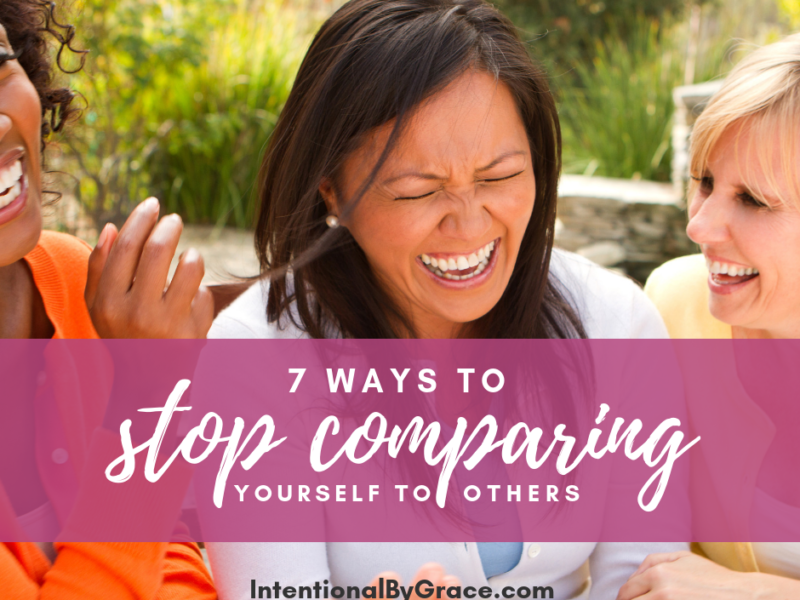 Love this post, as I am guilty of comparing myself to others. 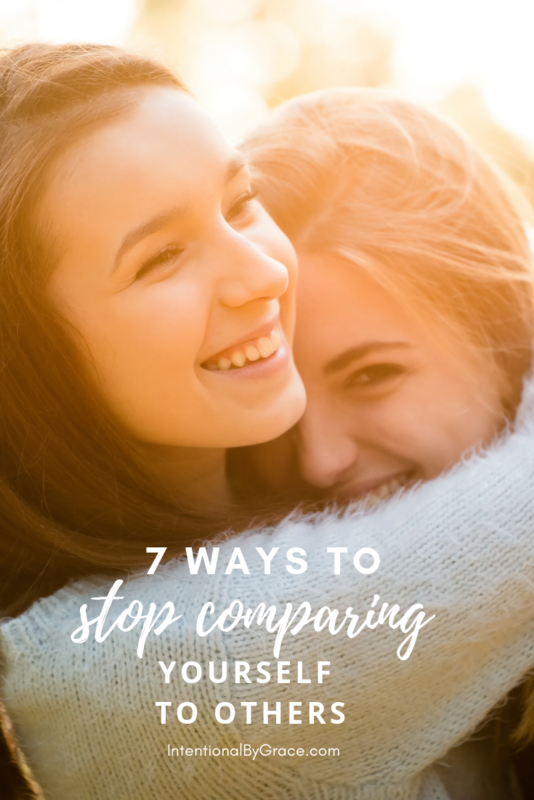 To try to teach my own self a lesson, I wrote a blog post not long ago about how comparison is a thief of joy (quote by Theodore Roosevelt). I really like your #3 in your list; I am not only working on a mission statement for my life, but also for my blog. Thank you for this post! This was excellent and something I’ll be reading over and over again. I struggle with the thief of comparison more than I care to admit. I think one of my biggest challenges is that I’m not really sure what my God-given mission is. I may very well be trying to make it something different than what God has planned for me! Thank you so much for this post. 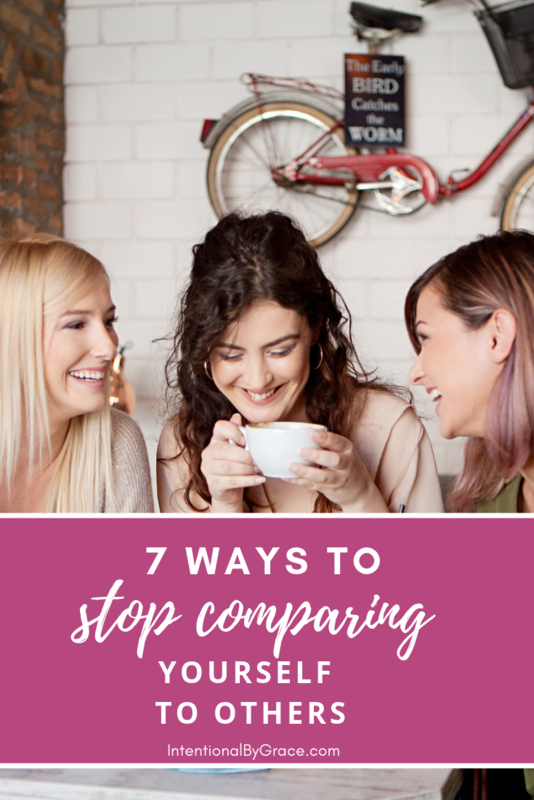 I am so guilty of comparing myself to others and have struggled with jealousy! I love the point about looking to the cross! I often feel challenged by how often I look to others rather than looking to Jesus. Thank you so much for all these great ideas. Christ and His work in and through me!